As the United Kingdom prepares to leave the European Union, the country is at a crossroads. 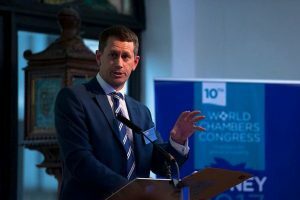 To deliver success means delivering trade deals fast, and the only way to do that is to be more innovative, explains Chris Southworth, the secretary general of ICC UK, USCIB’s partner in the global International Chamber of Commerce network. This was also the topic of a recent ICC UK podcast featuring USCIB’s Rob Mulligan. The views presented here are the author’s own and do not necessarily reflect USCIB policy positions. The UK government has committed itself to renegotiate its entire stock of trade relationships and bring home the largest number of trade deals ever delivered in a short space of time – the task has no precedent. The government has begun the process of passing legislation to set up a new Trade Remedies Authority, share customs data and maintain an open procurement market, but there is currently no proposal for how the government will deliver so many deals in such a short space of time. The government says that the 60-plus countries with EU deals will roll over on the same trade terms, so no extra consultation is required, but that is highly unlikely according to the experts. In a rare display of unity, business groups, NGOs, unions and consumer groups all agree that to move forward on trade, the UK needs a more transparent, inclusive and democratic framework to handle trade policy if there is any chance of ensuring trade benefits everyone. The UK has become one of the most centralized G7 countries, with wide disparities across its regions, a stubborn trade deficit and a history of under-performance on productivity and competitiveness. London now dominates the UK economy, with every other region a long way behind. Brexit presents a golden opportunity for trade to play a central role in boosting regional economies as well as address the frustration and disparity that is all too clear to spot, but only if the mode of engagement changes. If the government wants to deliver new trade deals at the pace and scale required, fresh thinking and reinvented processes are required – those who generate trade will need to be consulted on what works, not only because it is necessary, but because it is democratic. To deliver a trade model that works for everyone means giving stakeholders a say in the decisions. The Trade Bill – currently under review in Parliament – sets out an initial framework for an independent trade policy: a Trade Remedies Authority, an open procurement market, rolling over terms with countries with third party EU agreements sharing customs data. Controversially, the bill also proposes “Henry VIII” powers giving the government the ability to overrule Parliament. Being a member of the EU means that the UK has no formal structures or procedures for reviewing treaties, and Parliament does not have to debate, vote on or approve deals. Trade agreements are scrutinized via the usual Parliamentary means such as written questions and answers, internal debates and select committee inquiries. If government negotiators have any chance of delivering trade deals on the scale and pace required, there needs to be a more structured approach that provides organised forums for the international community, business, unions, NGOs and civil society organisations to engage on the issues and make consensus based decisions. There is a myth that consultation and transparency slows the decision-making process. But without dialogue there is scope for mistrust to grow, which if unchecked, has more than enough weight to derail trade negotiations – as we saw with the lack of public support for the Transatlantic Trade and Investment Partnership (TTIP). As hard is may be to hear, public services and food standards trumped trade and that is exactly how people expressed their views. The TTIP negotiations collapsed, losing five to seven years of negotiation with no sign of an opportunity to restart discussions. It was a colossal waste of resources that could have been easily avoided if the engagement process had been better organised and more inclusive from the start. The Canada-EU trade agreement (CETA) very nearly went the same way. The issues surrounding Wallonia’s role in Belgium that almost derailed CETA could very well apply in a host of UK regions. Good-quality engagement throughout the decision-making process would prevent such scenarios happening in the future and most importantly give people a stake in making trade a success. Trade policy now influences all walks of life – it’s not possible to separate trade from public policy and it’s imperative to have the public on board if deals need to be done. The US trade model is often cited as an option for the UK but it’s not the only country that has a better system of engagement. New Zealand has successfully integrated private sector groups, civil society and the Maori – its indigenous population – into its model for developing trade positions. Beyond regular public meetings regarding trade policy, the government established a ministerial advisory group to oversee high-level consultations. The group consists of representatives from key export sectors, NGOs, business and minority groups to reflect the overall priorities of New Zealand’s trade agenda, and to provide feedback to the nation’s minister of trade. In short, it’s a more inclusive system. The scale of the UK challenge provides an opportunity to set a new international benchmark – no country has it completely right. A deal with 27 EU countries, followed by 60-plus countries with EU agreements, and then the rest of the world is a lot of ground to cover in a short space of time – if the UK government is going to return the benefits of Brexit as promised. In fact, the success or failure of Brexit will hinge on the government’s ability to deliver trade deals – this is central pillar of the Brexit strategy to offset costs incurred from leaving the EU, especially for SMEs. To do that, it means breaking from the past, opening up and building a model of engagement that is more transparent, consensual and democratic in approach – and doing it fast! “Made in America” increasingly hinges on creative new ways to make goods and services in conjunction with the world. Matthew J. Slaughter, professor and associate dean at the Tuck School of Business at Dartmouth, served as a member of the Council of Economic Advisers from 2005 to 2007. 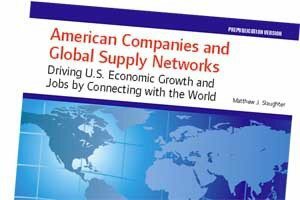 His new report, “American Companies and Global Supply Networks: Driving U.S. Economic Growth and Jobs by Connecting with the World,” published by USCIB, the Business Roundtable and United States Council Foundation, is available free of charge at www.uscib.org. Recent U.S. jobs reports, while encouraging, show that we continue to confront a competitiveness challenge of too little economic growth and too few jobs. America’s 113.2 million private-sector jobs today are not much above the number there were in late 2000, yet during these 12-plus years the U.S. labor force grew by about 15 million. The good news is there is a future in which America can create millions of good jobs and strengthen its economic growth by seeking opportunities in global markets. Achieving this future, however, will require thoughtful U.S. policies based on a sound understanding that the success of American companies, and of the U.S. workers they employ, increasingly hinges on their global engagement. A new report I authored for USCIB, the Business Roundtable and the United States Council Foundation, “American Companies and Global Supply Networks: Driving U.S. Economic Growth and Jobs by Connecting with the World,” explains what American companies must do to succeed in today’s dynamic global economy—and how that success fosters growth and jobs in America. First, their success in America increasingly hinges on their venturing abroad to meet the growth in global demand that, over the past generation, has been much faster than that in the United States. The U.S. share of world GDP fell from 32.3 percent in 2001 to just 21.6 percent in 2011. American companies see vast new markets with billions of new customers to serve not just via exports but, for global companies, via foreign-affiliate sales as well. For the affiliates of U.S.-based global companies, the annual average growth in value added over 1999-2009 was 8.4 percent in Brazil, 22.8 percent in China, 24.9 percent in Eastern Europe and 26.8 percent in India. And 91.1 percent of what these affiliates produced abroad in 2009 was sold abroad, not imported back to America. Second, successful American companies must also venture abroad to refine their operations by creating and integrating into global supply networks, which include both U.S. and foreign companies. “Made in America” increasingly hinges on creative new ways to make goods and services in conjunction with the world. One recent study estimated that the foreign content of U.S. exports has tripled in the last 40 years, rising from about 7 percent in 1970 to 22 percent in the late 2000s—with a much sharper rise since 1990. A very important implication of America’s engagement in global supply networks is not just rising exports but rising imports as well. In 2011 fully 62 percent of America’s $2.2 trillion of goods imports were intermediate inputs that were used in America by American workers. Third, even amidst all this global outreach, globally engaged U.S. companies are fundamentally American companies whose activities drive economic growth and well-paying jobs in the United States. Global companies operating in the United States in 2010 employed 28.1 million Americans, at average compensation about one third above the national average. They performed $253.8 billion in research and development. They invested $587.3 billion in property, plant, and equipment. They bought from U.S. suppliers more than $8.0 trillion in goods and services. And these companies are richly diverse in size and industry. Today about 26 percent of the U.S.-parent companies of all U.S.-based multinationals are classified by the U.S. government as small businesses because they employ fewer than 500 people. The global engagement of U.S. companies tends to boost, not reduce, hiring, investment, and R&D in America. Research continues to show that more employment and investment abroad by U.S. multinationals tends to increase employment and investment in their U.S. operations. Globally engaged U.S. companies also create jobs in other American companies. In particular, they create jobs in small and medium-sized American enterprises that become part of their global supply networks. The U.S. parent enterprise of the typical U.S. global company buys more than $3 billion in intermediate inputs from more than 6,000 American small businesses, which was more than 24 percent of its total input purchases. All this job creation is dynamic, with many companies both expanding and reducing jobs as opportunities evolve. My report uses a mix of economic data, academic and policy research and case studies that detail how the success of globally engaged U.S. companies, their customers and suppliers, as well as the U.S. workers they all employ, increasingly depends on their competitiveness in the global marketplace. The companies profiled are The Dow Chemical Company, The Coca-Cola Company, ExxonMobil, FedEx Corporation, IBM, Procter & Gamble and Siemens. There is no single strategy for what American companies must do to succeed and create jobs when venturing abroad. To stay ahead of intense international competition American companies must create, implement, and refine strategies from a truly global perspective. Globally engaged U.S. companies need flexibility to experiment, learn, fail, adjust, and succeed. To support American growth and jobs, U.S. policies must help all companies in America—big and little, U.S. and foreign, young and old—compete globally. Such sound policies are not guaranteed. But, if based on a clear understanding of what U.S. companies must do to succeed in today’s global marketplace, they are no doubt attainable. International operations of U.S.-based companies primarily exist to serve foreign markets, with more than 90 percent of the foreign production by American companies sold to foreign customers and not imported back to the United States. Global companies operating in the United States in 2010 employed 28.1 million Americans, performed $253.8 billion in research and development (R&D), invested $587.8 billion in capital, and bought from U.S. suppliers more than $8.0 trillion in goods and services. The worldwide operations of U.S.-headquartered global companies are highly concentrated in America in their U.S. parents, not abroad in their foreign affiliates: In 2010, U.S. parents accounted for 67.3 percent of their companies’ worldwide employment, 72.5 percent of capital investment, and 84.3 percent of R&D. Today about 26 percent of U.S.-based global companies have U.S. parent companies that are classified by the U.S. government as small or medium-sized businesses because they employ fewer than 500 people. This essay appeared in the Spring 2013 issue of International Business, USCIB’s quarterly journal. It is part of our regular series of thought-leadership columns. To submit a column or suggest a topic, please contact Jonathan Huneke (jhuneke@uscib.org). New ICC investment guidelines help chart a path to reviving FDI as an engine of global growth. Gérard Worms, Harold McGraw III and Victor Fung are respectively chairman, vice chairman and honorary chairman of the International Chamber of Commerce, the world business organization for which USCIB serves as the American affiliate. 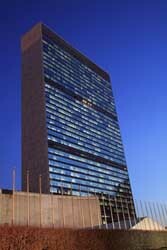 James Bacchus chaired the drafting group that revised the ICC Guidelines for International Investment. It is time for a much-needed reminder of the tremendous potential that investment liberalization can unleash on the ailing global economy, and for the G20 to create a more stable and predictable climate for cross-border investment. Although international investment is rising again after plummeting from the record levels registered just before the global financial crisis began, global foreign direct investment (FDI) remains 15 percent below pre-crisis levels. Rising, too, are restrictions on FDI through various forms of investment protectionism that are clouding the future for global economic growth. To help counter this rising threat of investment protectionism, the International Chamber of Commerce (ICC) has released revised guidelines to help increase cross-border investment flows and thus stimulate economic growth and prosperity across the globe. Like the recent EU-U.S. statement endorsing investment’s key role in the global economy, we hope that G20 leaders recognize FDI’s role in promoting growth and standing strong against the temptations of protectionism. Boosting FDI in today’s global economy is a pressing concern to developed and developing countries alike. The new world of international investment no longer holds to the weary “North-South” stereotype. More than half of all inbound FDI today – 52 percent – goes to developing and transitional economies. Outbound FDI from developing and transitional economies is also increasing rapidly – $388 billion in 2010, up 21 percent from 2009. Yet the business confidence needed to boost investment flows worldwide is constrained by significant uncertainties ranging from excessive sovereign debt and macro-economic imbalances to the increasing influence of state-owned enterprises and sovereign wealth funds, as well as the growing trend of “re-regulating” international investment. The new ICC guidelines, which draw on the collective experience and specific suggestions of businesses throughout the world, reaffirm business’s belief in what the G20 has described in its action plan for jobs and growth as the role of investment “to unlock new sources of growth.” The guidelines reiterate the basic obligations of investors, investing countries, and host countries with respect to such traditional concerns as fair and equitable treatment of investment and protection against expropriation without just compensation. But the guidelines also go far beyond the previous version to address several “new” investment issues that have emerged since 1972, during four decades of expanding globalization. They emphasize the global need for the free flow of capital to spur investment and of services to support investment, as well as the need for transparency and due process in the governance of investment. They also state that host countries should respect international rules related to foreign investment such as local content, equity caps, technology transfer, domestic sales limitations, and the mandatory use of indigenous technology. The guidelines outline the protection of intellectual property rights, the prohibition of discrimination in government procurement, and anti-corruption. They contain language which specifically addresses corporate responsibility, strengthening previous provisions on labor rights, setting out new obligations on human rights, and incorporating new obligations related to environmental protection and sustainable economic growth. ICC has taken into account that governments are increasingly deploying FDI through state-owned enterprises and sovereign wealth funds. The new guidelines address the role of the state by setting out, for the first time, the principle of fostering competitive neutrality in cross-border investment. 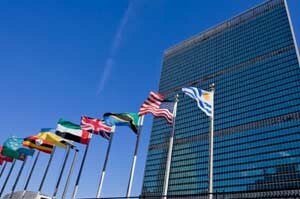 They also underscore the need to establish an effective means of upholding the rule of law relating to international investment, including through investor-state dispute settlement. Resisting investment protectionism is essential to promoting economic growth. The G20 should establish appropriate rules, drawing on guidelines from international business, so that the global economy creates more opportunity, prosperity and hope for workers and entrepreneurs alike. This essay appeared in the Summer 2012 issue of International Business, USCIB’s quarterly journal. It is part of our regular series of thought-leadership columns. To submit a column or suggest a topic, please contact Jonathan Huneke (jhuneke@uscib.org). Note: This article appeared in the Winter 2011/2012 issue of International Business, USCIB’s quarterly journal. It is part of our regular series of thought-leadership columns. Views expressed by authors and those interviewed are their own, and no endorsement by USCIB is implied. To submit a column or suggest a topic, please contact Jonathan Huneke (jhuneke@uscib.org). Only 20 percent of the world’s equity shares are held by investors outside a company’s home market. Just three percent of people live outside their country of birth. Less than one percent of all American companies have any foreign operations – and most of them operate in just one country, primarily Canada. Worldwide public opinion surveys indicate that people care about their fellow citizens from 100 to 10,000 times more than they do about foreigners. Pankaj Ghemewat, professor of global strategy at IESE Business School in Barcelona and author of the well received book“World 3.0: Global Prosperity and How to Achieve It” (Harvard Business Press), has thought a lot about this. Ghemewat takes issue with common assumptions about globalization. 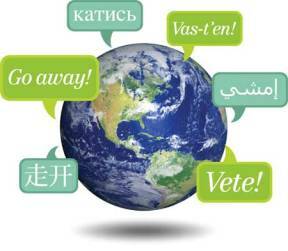 The world, he says, is far from flat, and in fact is still largely defined by national borders. Ghemewat sat down with USCIB to discuss his ideas. World 3.0 encourages companies and policy makers to look at globalization differently. He explains how, for too long, governments, business, and the general public have been stuck in a tug of war between two opposing worldviews, World 1.0 (a protectionist, regulated world) and World 2.0 (in which the world is seen as flat and corporations as stateless entities). He argues that both these views are flawed: they don’t fit the facts, and they don’t provide practical direction toward a better future. He proposes a more accurate and useful worldview, based on evidence that we are in a state of semi-globalization. Pointing to data on flows of trade, capital, information and people, Ghemawat shows that actual levels of globalization are far lower than many of us think, and that there is tremendous potential to expand prosperity by increasing integration. Recognizing that goods made in China account for just 1-2% of U.S. personal consumption expenditures undercuts those seeking to blame the trade deficit for America’s problems – shifting the focus on jobs away from protectionism and toward domestic policies. Recognizing that international air transportation accounts for 1-2% of greenhouse gas emissions – one-tenth as much as ground transportation – would help prevent an overemphasis on localizing production that sacrifices important production efficiencies. Recognizing that foreign aid accounts for just 1% of the U.S. federal budget – instead of the 30% or so that Americans tend to guess – can helps build support for more cross-border aid. World 3.0 recounts the track records of numerous companies in adapting – or failing to adapt – to this semi-globalized world, where attention to national differences can still spell the difference between success and failure. Perhaps most intriguing for USCIB members are Ghemawat’s policy prescriptions. Here he places the emphasis on the importance of more or less unilateral decisions by national governments. Interestingly, he contends that trade liberalization by itself offers limited prospects for growth. Success in the Doha Round, he says, would lift global GDP by a mere 0.1 percent, and even the complete elimination of trade barriers would raise growth by only 0.5 percent. In contrast, Ghemawat contends that very rapid increases in integration undertaken unilaterally or by small groups of governments could spur far greater growth. One example, says Ghemewat, is Mexico under NAFTA, where the single biggest benefit of integration with the U.S. and Canada has been to drastically reduce the price-setting power of oligopolies. Ghemewat says governments can foster integration at both the national and global levels through policies such as improved infrastructure and education. Poor road and port infrastructure in his native India, for example, is a huge constraint on growth, because it limits access to global markets. Ghemewat criticizes the view that deregulation is the best way to achieve growth. “A hands-off approach to regulation is untenable,” he says. Minimum wage laws, for example, help reduce inequality. And while popular perceptions of globalization’s impact on unemployment are vastly out of line with reality, Ghemewat stresses the importance of improving the social-safety net for people who are negatively affected. He’s skeptical about trade adjustment assistance laws, and says improved unemployment benefits, access to health care, and education are a better approach. World 3.0 makes for fascinating reading, and while you may not agree with everything Ghemawat prescribes, he presents a very convincing case that there is still a long, long way to go before the world is truly flat.